Army veteran Hunter Grant thought he had left war behind in Afghanistan – a conflict that left him with physical and psychological scars. But finding an unconscious girl in the Northland bush and gradually untangling her complex story involves him in a war of a different kind in his own country. 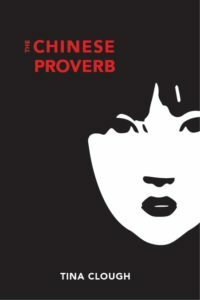 The Chinese Proverb is available from this website, from New Zealand book stores, from Fishpond and Amazon.com. The ebook is available from most online ebook retailers. Hunter, places himself firmly in the firing line as they unravel the mystery of Dao’s life, but Dao is more than a victim, she’s a survivor, who has her own role to play in her destiny. As the story develops the complexity of her character is revealed.